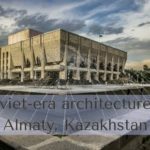 What and where is Orheiul Vechi? 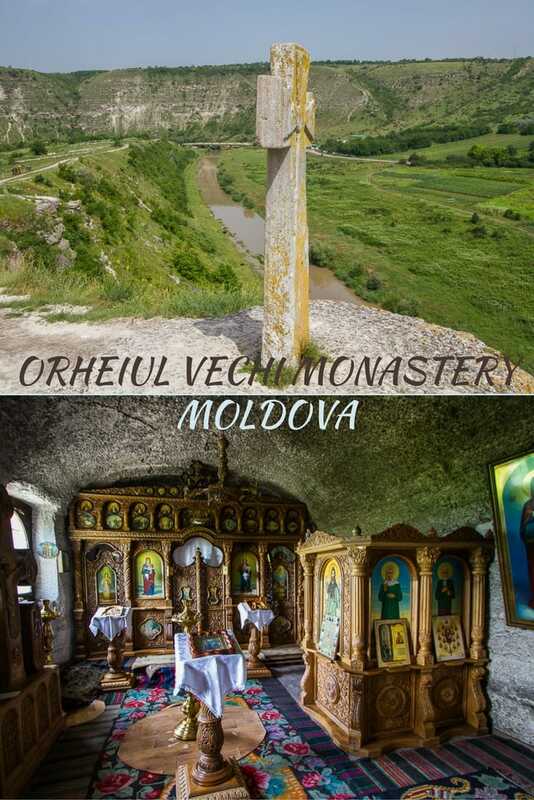 Orheiul Vechi is an Eastern Orthodox monastery complex carved into a massive limestone cliff that overlooks the meandering Raut River. 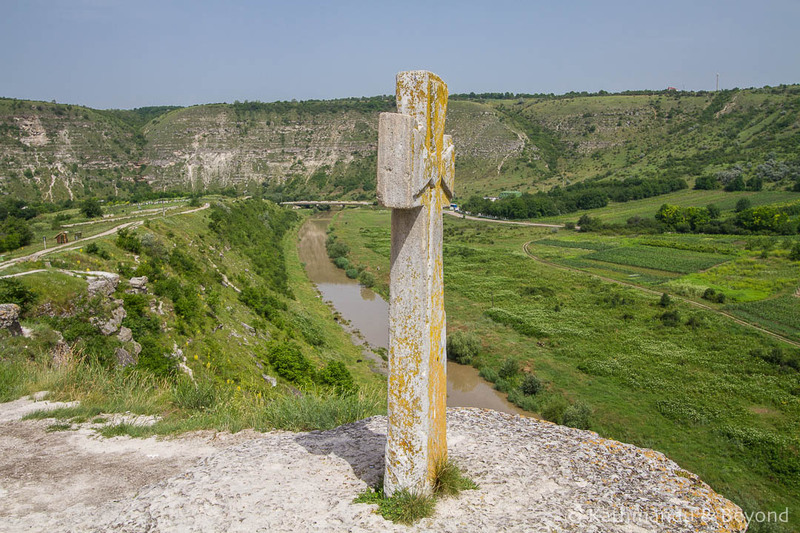 It is one of the most visited places in Moldova, but you won’t see many tourists there. 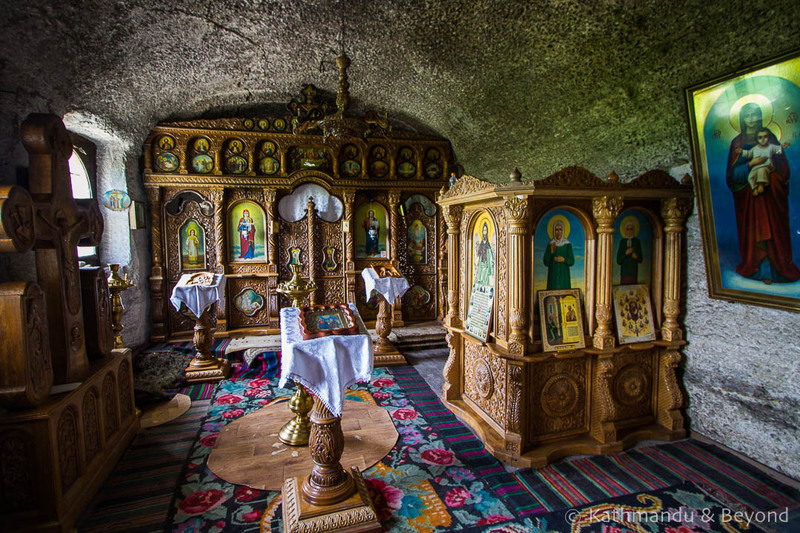 Nearly all of the visitors are Orthodox pilgrims who come from all over, not just Moldova, to pay their respects and visit the complex’s cave church. The monastery, which dates back to the 13th century, has an incredible setting and for us was more impressive than the monastery itself. 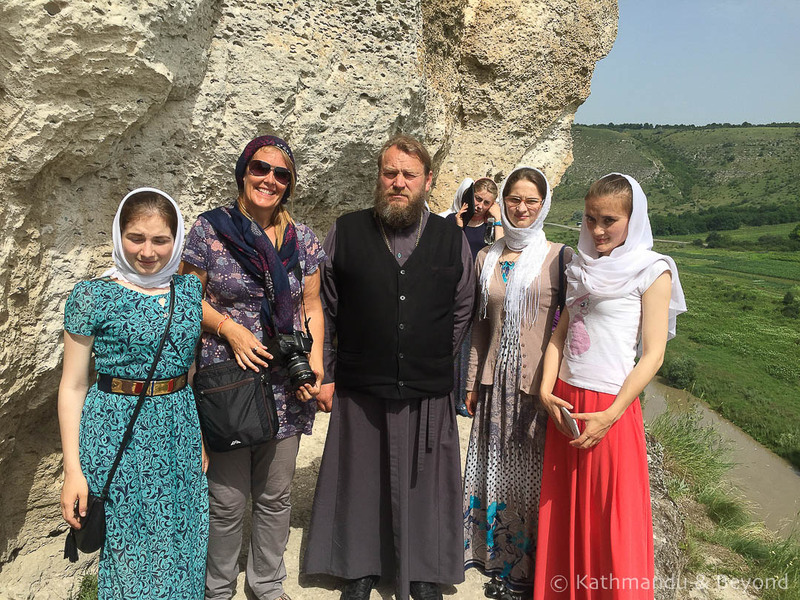 Although saying that, it was interesting enough visiting inside the small cave church, plus we had the opportunity to meet a couple of the monks and a group of young Moldovan ladies who were visiting from Soroca, Moldova’s Roma capital located in the north of the country. They spoke a smidgen of English and helped us communicate with the monks. The cave church is pretty small and the chapel consists of an altar and some ancient frescos. Off to the side of the chapel, there are a number of chambers that used to be the sleeping quarters for the monks who resided there. 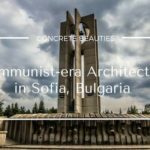 The entire complex was shut down and abandoned during the Soviet times and religious services were only resumed in 1996. The handful of monks who now live within the monastery (not in the cave sleeping quarters I hasten to add) spend some of their time restoring this isolated place of worship. Away from the cave church, there is a modern aboveground church which you can also visit if it is open. Getting to Orheiul Vechi by public transport is not complicated but you need a little luck and you definitely need some help from the friendly marshrutka (fixed route minivan) drivers at Chisinau’s chaotic central bus station (which also happens to be the central market – hence the chaos!). 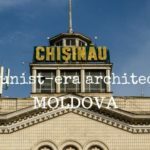 There is no Tourist Board in Chisinau, but there is a transport information booth at the central bus station and the staff there will be able to put you on the right marshrutka. Our accommodation (a rented apartment) was very close to the central bus station so we headed to the information booth the day before and got the departure times for the marshrutkas. When asking for information, you need to enquire about departure times for Trebujeni and/or Butuceni. Trebujeni is a small village 3km from the monastery, whereas Butuceni is about 2km from it. Either way, it is necessary to walk the final stage to the monastery (see below). Finding the right marshrutka can take a little time so it is best to turn up at least 30 minutes before the allotted departure time. They depart from outside the bus station proper and it’s a matter of asking around until eventually someone directs you to the one you are looking for. Turning up early also increases the possibility of getting a seat. 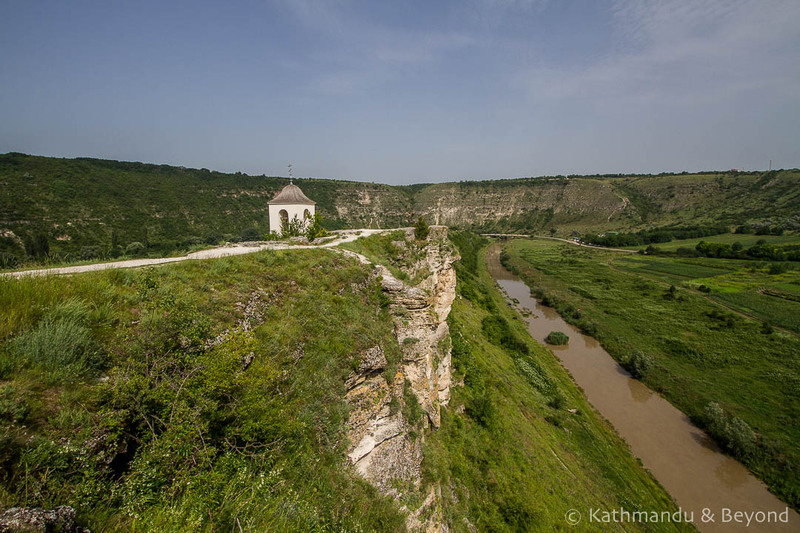 The monastery is about 60km from Chisinau and the journey takes no longer than one hour. We paid 25 Moldovan Leu (MDL) each way, which is about €1.20. Most marshrutkas stop at both Trebujeni and Butuceni but it is best to double check with the driver. If the marshrutka you are on is only going to Trebujeni, you need to get down at the junction for the monastery (you will see a signpost to the monastery) and walk down the winding, country road, past the visitors centre, over the bridge that crosses the Raut River and then up the side track mentioned below to the monastery itself. This will take about 30 minutes on foot. If your marshrutka is going to Butuceni, then the driver will drop you off at a bus stop adjacent to a side track that leads up to the monastery. This is a shorter walk and only takes 10 minutes or so. I appreciate it sounds confusing, but visiting Orheiul Vechi on public transport isn’t as complicated as it sounds. We left Chisinau on the 0830 marshrutka and returned on the 1145 departure from Trebujeni. This allowed plenty of time to visit the complex (including the cave monastery) and take in the fabulous scenery. We even had enough time to walk back up to the junction mentioned above, which we did because we weren’t confident the return marshrutka was going to make a stop in Butuceni. In the event it did, so we needn’t have worried. 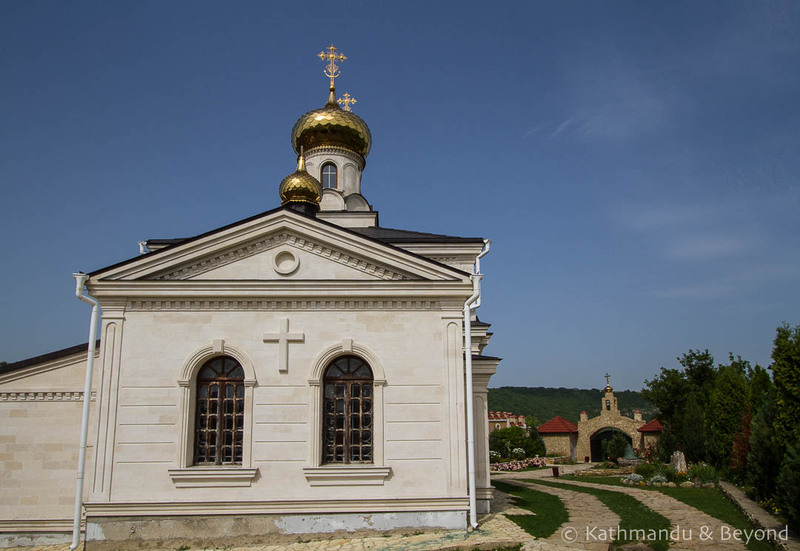 You are supposed to pay an entrance fee of 15MDL (€0.70) at the visitors centre before proceeding to the monastery but if you are on a marshrutka that is heading to Butuceni, you will pass the visitors centre without the option to stop. Nobody seems bothered about collecting it and you can make a donation at the monastery if you so wish. Men and women must dress conservatively and cover their legs. For men that means long trousers. For women either long trousers or an ankle length skirt. Women must also cover their head with a headscarf. 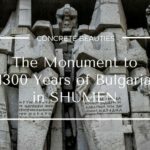 Is it worth visiting Orheiul Vechi by public transport? The monastery is worth visiting if you only spend a limited amount of time doing so. What I mean by this is that you should plan your public transport options to avoid hanging around for any unnecessary amount of time. Once you have visited the monastery and taken in the view, there isn’t a whole lot else to do in the region. Even eating options seemed very limited in both Butuceni and Trebujeni and we certainly didn’t see an appealing restaurant where you could while away an hour or two while waiting for the next marshrutka to arrive. Furthermore, Moldovan summers are brutally hot and there is very little shade away from the cave church itself. Also remember, you will be wearing trousers/long skirt so hanging around, waiting for transport at that time of year isn’t going to be ideal. In the winter, the region receives a lot of snow and can be very cold. If you do find you have time on your hands, looking at a map, I think it might be possible to walk along the ridge all the way to Trebujeni. We didn’t do this but it looks feasible and would be a great walk with splendid views of the surrounding countryside. 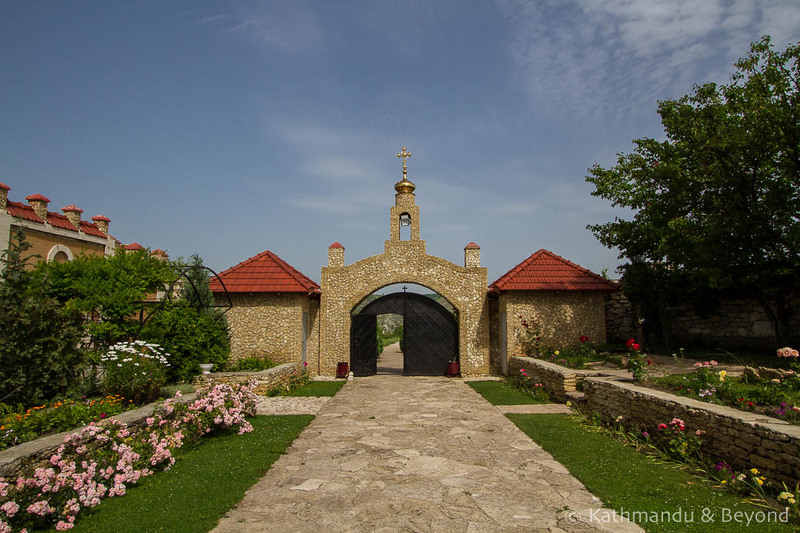 HAVE WE INSPIRED YOU TO VISIT ORHEIUL VECHI MONASTERY? PIN IT! I think few tourist ever heard about Moldova, i am one of them but after this i will never forget. Its really a cool place and i will be there very soon. Moldova is a great place, you are right, and few tourists visit. I hope you enjoy as much as we did when you visit soon! Yikes, they don’t seem like the happiest bunch do they? 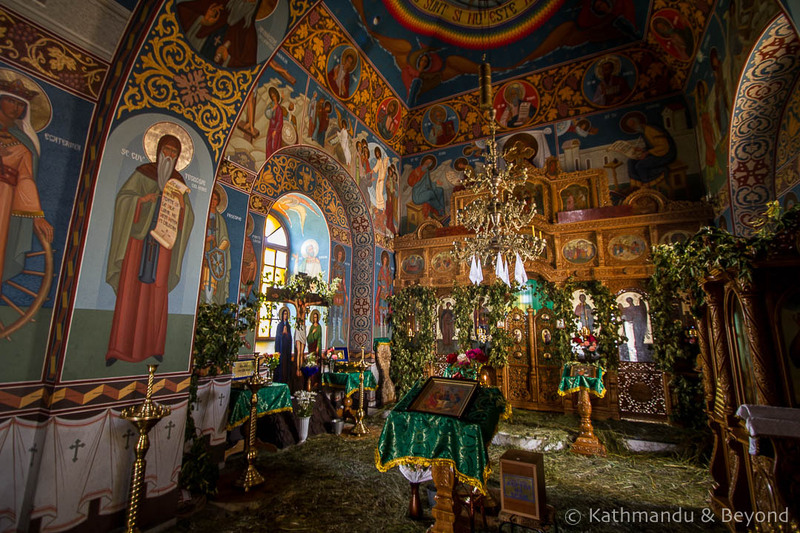 I love Orthodox churches, mostly because of the incredible colors they use in the frescos (is that what they’re called?). We saw a few old churches in Belgrade (I’m sure you saw the same while there) and were really impressed. I know what you mean Frank – they actually were quite chatty but put on their deadpan faces for the photo! We are with you when it comes to Orthodox churches, they often look impressive from the outside and have plenty of detail in their frescos (that is the right word!). Ah the marchrutka..an experience in itself for any tourist , especially in a hot sunny day=) Nice article! Thanks any yep, a marshrutka on a hot, sunny day can be very unpleasant indeed!